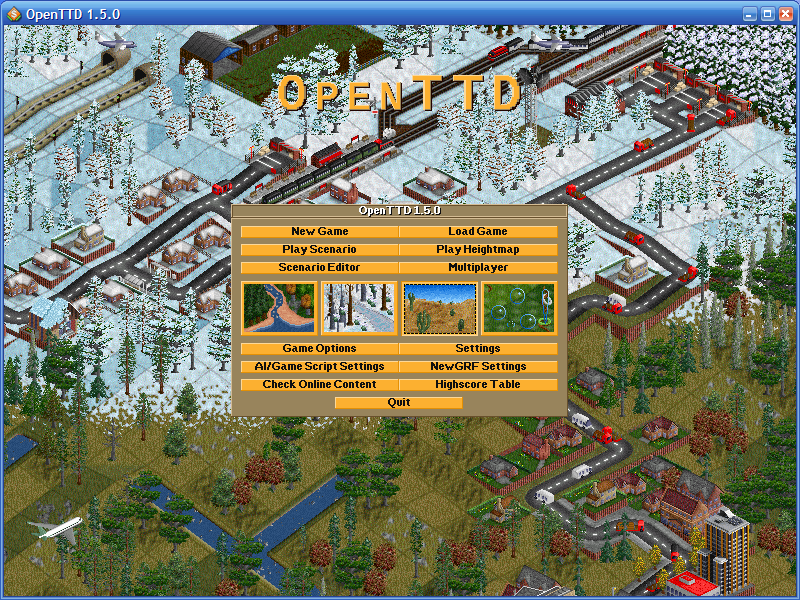 OpenTTD is a business simulation game in which the player aims to earn money through transportation of passengers and freight by road, rail, water and air. The program is based upon the popular game Transport Tycoon Deluxe, written by Chris Sawyer for Microprose and attempts to mimic the original game as closely as possible while extending it with new features. How to extract: Download the ZIP package and extract to a folder of your choice. Create an empty openttd.cfg file. Launch openttd.exe. To save space, delete unnecessary items in the lang folder. Can't find what you are looking for? This list shows entries with Games - Strategy as a supplementary function. You can view more entries with Games - Strategy as a primary function.